Installed sound power amplifier + 5 input mixer. 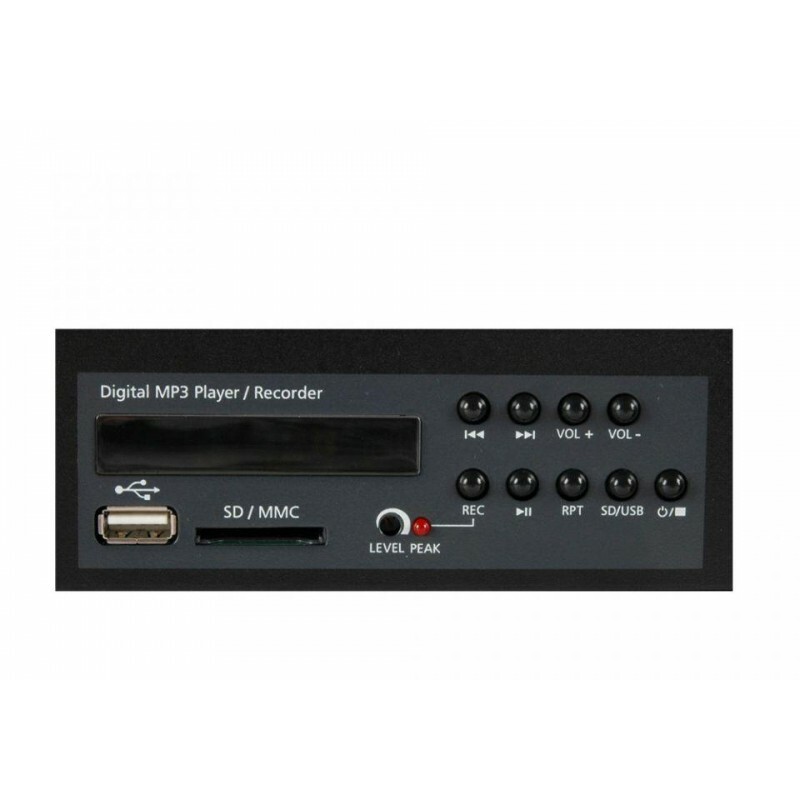 Solid state audio player/recorder (USB/SD) with standard formats (MP3, etc.). Supports storage devices with up to 32 GB. 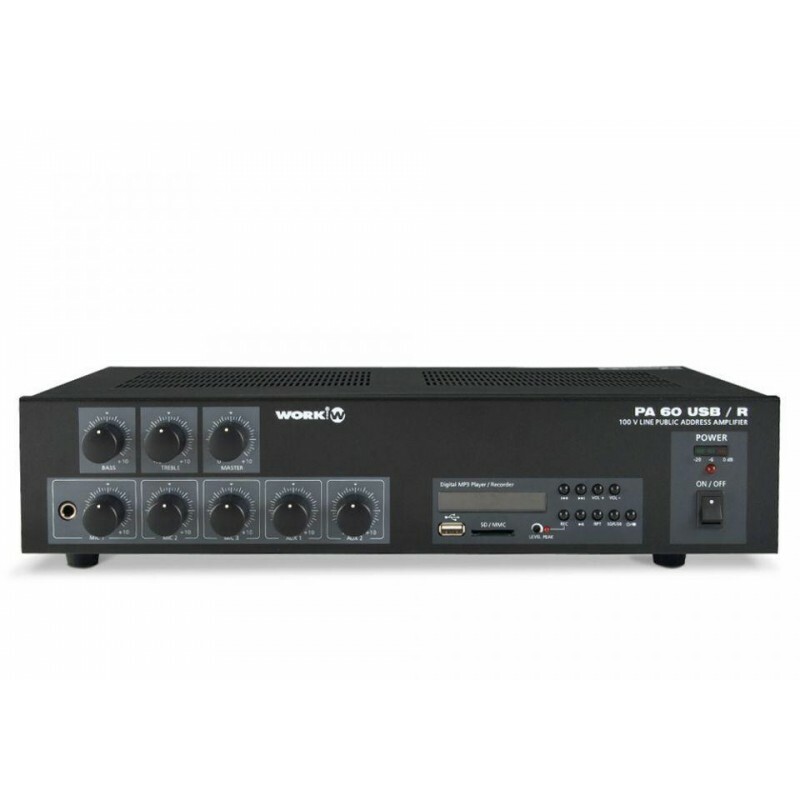 Mixer with independent control of volume, Master control and high/bass tone. Suitable with low impedance speakers (8 ohm) and high voltage line (25/70/100 V). Tel/Emer connection for emergency announcements. Terminals for emergency supply (DC 24 V). Audio inputs: 3 Mic, 2 aux. Mic (impedance/sensitivity): 250 ohm / 1 mV bal. Aux (impedance/sensitivity): 47 kohm / 200 mV. Tape output: 4.7 k? / 350 mV. Pre-out: 600 ? / 1 V.
Outputs: 8 ? / 25 V / 70 V / 100 V.
S/N ratio: 75 dB (Line) / 60 dB (Line). 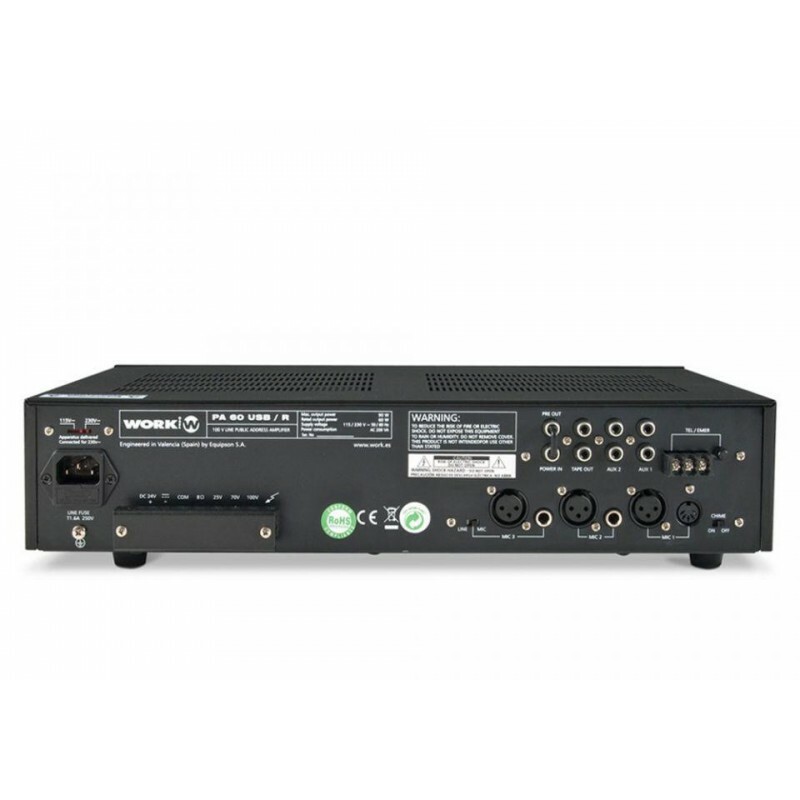 Main supply: AC 115/230 V, 50/60 Hz. / DC 24 V.
Dimensions (WxHxD): 483 x 88 x 260 mm.